The cat is almost out of the bag. Analogies aside, the next iteration of Apple’s desktop operating system, OS X, is going to be announced at next week’s Worldwide Developer’s Conference. One year ago, Apple released Mountain Lion to developers, which was later released to the public in July of last year. 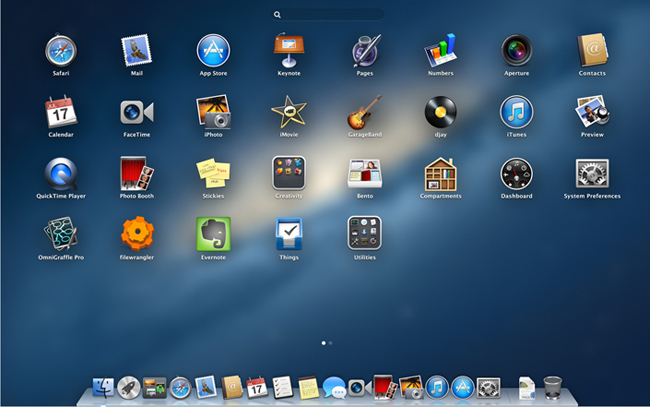 Though the developer preview of Mountain Lion debuted in February 2012, we haven’t seen a preview of OS X 10.9 yet, fueling even more speculation as to what features the new operating system will include. Once the developer preview appears, we’ll know for sure what some of OS X 10.9’s features will be – including which cat name it will be given. While there’s been some speculation that OS X 10.9 could be called Lynx, we like the idea of it being called Domestic Cat. Sadly, we’re pretty sure Apple won’t take the suggestion. AppleInsider and MacRumors have both seen traffic increases from machines identifying themselves as running OS X 10.9. The trend started with a few dozen machines back in October, to several thousand in the last month or so. Both sites saw a similar trend before Mountain Lion was released, so it’s likely that Apple is already testing the new OS. Based on rumors, rumblings, and some ideas of our own, here’s what we think will be included in OS X 10.9. One of the most consistent rumors we’ve heard is that the Finder is getting a makeover, which, frankly, is long overdue. In the same way that Microsoft modeled its File Explorer after the feel of Internet Explorer, OS X 10.9’s Finder is believed to include tabbed windows similar to the Safari browser. Tagging features are also expected to appear in the Finder, and we imagine the tags will work like they do in iPhoto. 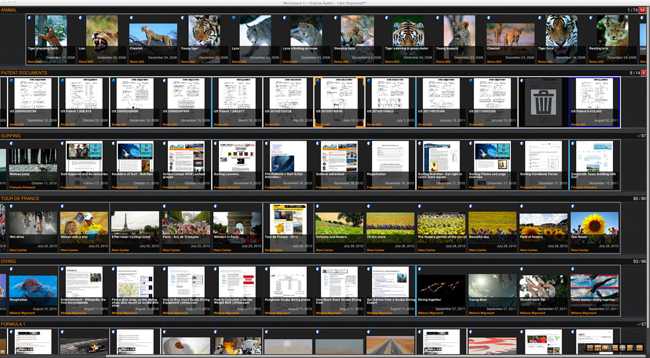 Remember how one of the highly touted features of Lion was full screen apps? Allowing one app to dominate the entire display with a simple click was finally available on Macs, though Windows machines had almost the same functionality for years. Too bad Apple forgot to include multiple monitor support when it added full screen app capabilities. That fancy Thunderbolt display couldn’t play a movie at full screen while your surfed the Web at full screen on your MacBook Pro. This was a bizarre oversight and one that the rumor mill believes is finally going to be rectified with OS X 10.9. 9to5Mac cites an email from Apple Senior Vice President of Software Engineering Craig Federighi to a customer late last year intimating that multiple screen support is on its way. Siri is so close to coming the Mac that we’re almost surprised she hasn’t told us herself. 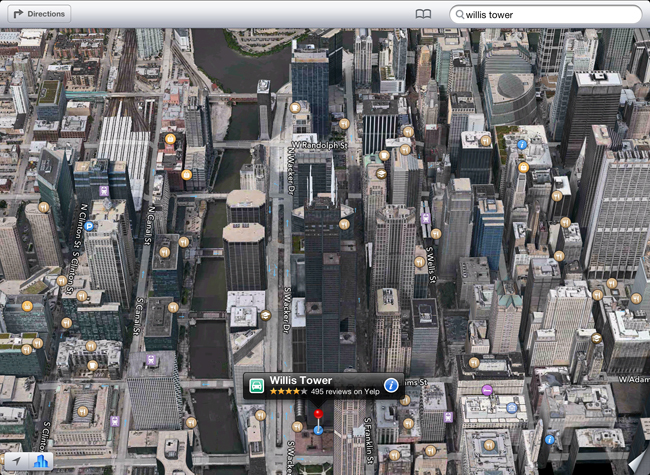 Back in November, 9to5Mac reported that both Siri and Apple Maps would make the jump to the desktop. Mountain Lion already includes the dictation application that was the precursor to Siri on iOS, so it’s not that big of jump. A Siri that could open programs and automate tasks such as uploading photos or creating playlists on command would certainly be useful. But if all desktop Siri does is tell us the weather or open a program, it would remain a novelty to users. Apple Maps jumping to the desktop has been mentioned in the same breath as Siri and has been included in the early developer framework. While the iOS launch of Apple Maps was a disaster, the service has made many improvements. Additionally, the integration of the service within the OS would have several advantages. Within the address book, a map and directions to a contact’s house could instantly be displayed and automatically shared with your iPhone. Perhaps there would be a mapping button built into Safari that would automatically display directions from your house to the restaurant whose site you have loaded. Despite Apple Maps early stumbles, we think there are a lot of ways the program could bring interesting and useful functions to OS X 10.9, but on the top of our list would be automatically sending directions to our iPhone, without having to remember an address or email ourselves a link to the map. Late last year, Bloomberg reported that Apple was in talks with major music labels to start its own streaming music service. The service would obviously give Pandora and Spotify a run for their money, especially if the service was compatible with AirPlay. While iOS devices would most likely garner more attention with a streaming music service, we could also see it coming to OS X 10.9 because it would likely have its roots in iTunes. As users know, it’s hard for any Apple media to escape iTunes. 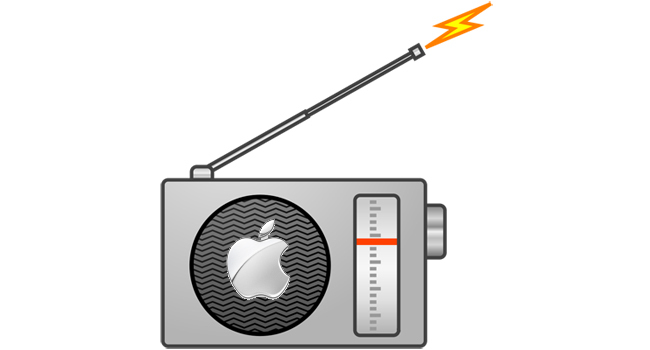 As we get closer to WWDC, iRadio is looking more definite. AllThingsD is reporting that Apple has reached licensing deals with the three major record labels – Warner Music Group, Universal, and Sony Music – for a Pandora-like streaming music service. The current theory is that the service would be free, but supported by ads, and with easy access to purchase music directly through iTunes. ComputerWorld notes that Apple recently acquired 18 patents from Maya-Systems, leading it to speculate that OS X 10.9 may include a more attractive filing system that could include a 3D-like interface. Apple could even go as far as creating a central file system for OS X, iOS, and iCloud that’s both attractive and searchable no matter the device you’re using. In English: IamOrganized keeps both local and cloud-based files in one convenient, easily searchable location that may be accessed and searched across a variety of devices. Plus, it looks pretty. If this does come to fruition, it would likely emerge as a strong challenger to Google Drive and boost iCloud’s visibility. There’s also talk that Apple will make iCloud friendly and more useful to third party apps with many behind the scenes tweaks made in response to developer complaints. WWDC is primarily a conference for developers, so announcing a better iCloud with greater interoperability between OS X, iOS, and third-party apps should be a given. Once again, since next week’s event is for developers, Apple is expected to announce an update to its Xcode software development tools, which will be easier to use and reflect the aesthetic changes in iOS. When Lion (OS X 10.7) arrived on the scene, it brought a whole lot of iOS with it. There was the Notification tray that’s nearly identical to the one on Apple’s mobile OS, and the scrolling mechanism that mimicked how your fingers move up along a touchscreen instead of down along a trackpad to scroll to the bottom of a page. Launchpad, which displays your programs in a grid of icons (sound familiar? ), was also added along with easy access to the Mac App Store. The iPhone is still one of the top-selling phones in the U.S., and it’s likely the new iteration of Apple’s desktop OS will continue to cater to these new customers by giving OS X 10.9 a similar look and feel to iOS. We now know that iOS 7 will bring a brand new look to the iPhone, but there’s no telling how much of those designs will be immediately reflected in OS X 10.9. However, ArsTechnica is reporting that iOS-like task switching is headed to the desktop. It remains to be seen how Apple will implement a double home button press and row of recently-used programs on the desktop, but we can’t imagine that it will be any faster than flipping through programs using Command + Tab, or flicking four fingers across the trackpad to bring up open applications. Speaking of open applications, Apple may also implement application pausing in OS X 10.9 to conserve battery life and memory, just like it does in iOS. Pausing applications is part of the way Apple added multi-tasking to iOS while preserving battery life, but we’re not sure how much battery life this would conserve on a MacBook while running basic programs such as Mail and Safari. With several processor intensive programs running all at once, this feature could be useful, but it really depends on how Apple implements it and the restrictions placed on it. Whether Apple calls the next version of its desktop operating system Lynx, Domestic Cat, Bobcat, or Dog, we can’t wait to get our hands on it. We’ll most likely have to wait until July for the official release of OS X 10.9, but developers should be able to get a look at it in the next few weeks. Stay tuned to all of our WWDC coverage starting on Monday, June 10.